It's the nature-made stunning view with the fascinating contrast of beautiful pink and green. It had been a little known place, but more and more people have come to see this beautiful view lately! So you are encouraged to come once soon! I went to Shizuoka because I've heard about a beautiful single cherry blossom tree. 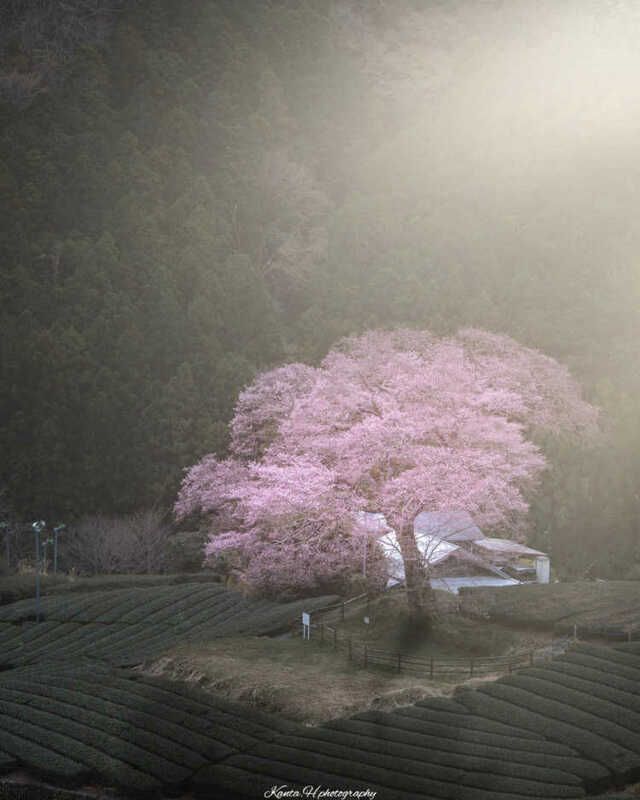 It was past six, the morning sun came from the mountains, the sun lighted the tree, then the cherry blossom began to glow. There were more than 100 photographers around the tree at that time. 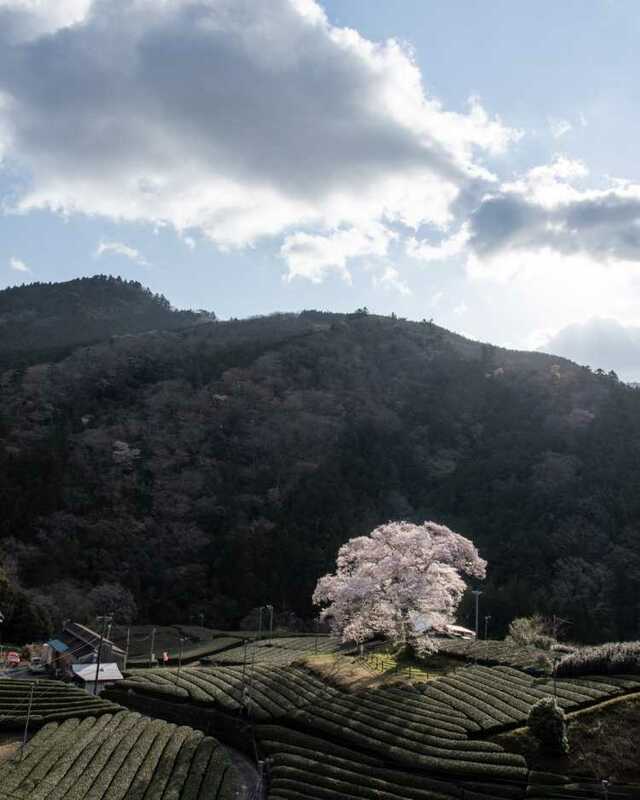 They all came to see this shining cherry blossom tree from all over Japan. I think it's worth seeing once in your life.